I sometimes have to wonder if the devil is laughing at us. Ever since my wife started talking about how she uses essential oils, we occasionally hear from Christians with grave concerns about essential oils and the occult. Occultists and pagan religions have used oils for millennia for their health properties. Therefore, they argue, if we use essential oils for same reasons, aren’t we engaging in cult practices? While it is worth doing your homework about essential companies you buy your oils from, I do not believe avoiding essential oils for spiritual reasons is a mature Christian attitude (you can read here about our journey in choosing an essential oil company). While there are very modern methods for extracting essential oils (also called “volatile oils”), ancient people have been using aromatic oils from plants for thousands of years. The Egyptians, Chinese, Indians, Persians, Greco-Romans, and nearly every other ancient culture used aromatic oils in various ways—mostly for medicinal or ritualistic purposes. Most ancient cultures also didn’t place a sharp distinction between the natural and the supernatural the way we do today. The physical properties of a substance and spiritual forces regularly co-mingled in the ancient pagan mind. In fact, our words “pharmacy” and “pharmaceutical” come from the Greek term φαρμακεία (pharmakeia), which means sorcery or enchantment. For most ancient people, the making and use of medicines or potions was believed to be spiritual practice, not just a medical one. Even modern cultists use essential oils because of the spiritual properties they are believed to contain. Some modern Wiccans, for instance, speak of certain essential oils having “sacred energies” or magical properties. Some use essential oils in spell crafting, the invocations of spirits, anointed sacred objects, or the practice of prophecy. Some link specific oils to certain astrological signs. Given these connections to paganism, what is a mature Christian response to using essential oils? Should we use them at all? 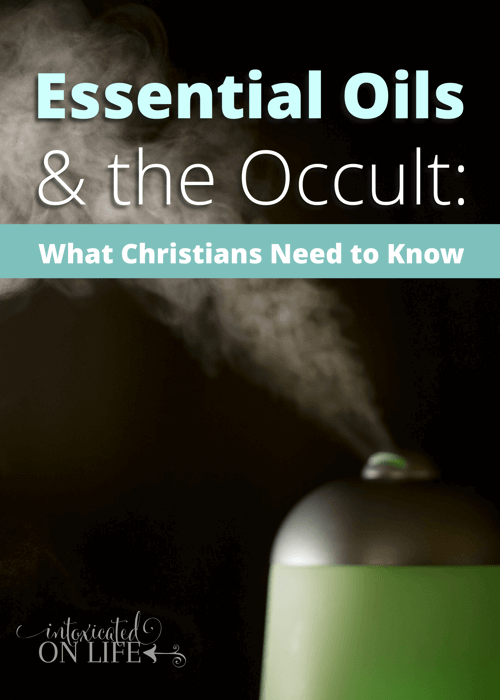 What do Christians need to know about Essential Oils and the occult? Consider the apostle Paul’s teachings to the Corinthians Christians about eating food sacrificed to idols. There was a dispute in the ancient church about whether they should buy meat in the marketplace that had been used in a pagan sacrifices. If ever believers had a reason to get superstitious and leery of something associated with pagan religion, this would be it. But Paul doesn’t give those beliefs the time of day: “we are no worse if we do not eat, and no better if we do” (1 Corinthians 8:8), Paul says. No matter how cultists misuse God’s good gifts, the meat belongs to our Creator. Paul concludes, therefore, “Eat anything sold in the meat market without raising questions of conscience, for, ‘The earth is the Lord’s, and everything in it'” (10:25-26). Paul does not belabor the cultic connection at all. If a slab of meat is being offered to Aphrodite or Apollo in the morning and gracing a Christian’s dining room table that night, Paul doesn’t lose any sleep over this. Why? Because even if these so called “gods” are out there, for the Christian, “there is one God, the Father, from whom are all things and for whom we exist” (8:6). Of course, he warns them not to go into the temples and participate in the pagan sacrifices themselves (10:14-22), but his primary concern is how believers should treat each other regarding this issue—those with stronger consciences should not tempt the weak (8:9-13; 10:27-29). He isn’t concerned that the meat is somehow spiritually “tainted” or that the Christians are somehow inadvertently involved in pagan religion because they eat meat. He is primarily concerned about Christians treating each other with love, not using their freedom to put a stumbling block before others whose consciences might be weak in this area. I believe we can say the same about essential oils and the occult. Do cultists use certain blends of oils for their physiological effects? Sure. Do they believe essential oils have certain supernatural properties? Yes. Does that mean Christians shouldn’t use them? Of course not. God is the one who gave those essential oils their properties. 1. Research how a company describes their essential oils. While there’s nothing wrong with using essential oils because we believe they have legitimate God-given beneficial properties, there are several companies out there that capitalize on pagan mumbo-jumbo to sell their products. 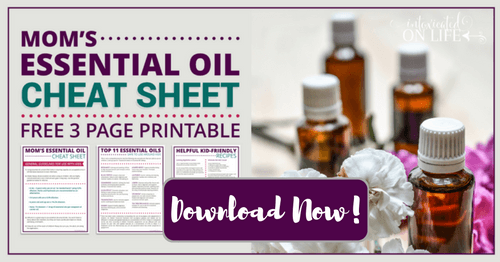 Some of these essential oil descriptions read like a thesaurus mated with the Wiccan Book of Shadows, and their offspring was wrapped in a thin blanket of fortune cookie papers. 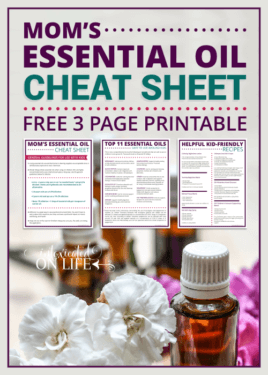 After reading such spiritual malarky, you may decide, like me, that these essential oil companies aren’t worth your money. They are either using neo-pagan gibberish on the pseudo-spiritual masses to make a buck, or they actually believe their own superstitious drivel. 2. If using essential oils goes against your conscience, don’t use them—but recognize this as a position of weakness. Some Christians, perhaps because they dabbled in neo-paganism in the past, may choose to avoid using essential oils because it has too many bad associations in their minds. If this is the case for you, then the answer is simple: don’t use oils. It is never wise to get into a habit of offending your conscience. “For whatever does not proceed from faith is sin” (Romans 14:23). That said, just as in the case of meat sacrificed to idols, the apostle Paul unapologetically calls such consciences uninformed, weak, and defiled (1 Corinthians 8:7). Please, do not mistake your spiritual concerns about essential oils and the occult as somehow more enlightened or informed, when in fact, it is the exact opposite. 3. Use essential oils to the glory of God. Paul’s conclusion to the meat-sacrificed-to-idols dispute is this: “So, whether you eat or drink, or whatever you do, do all to the glory of God” (1 Corinthians 10:31). What does this imply for us? First, it means we might sometimes give up our freedoms in order to build up others and not cause them to stumble (1 Corinthians 10:23-24, 32-33)—and this may include not using essential oils around those who truly can’t get past their pagan associations. Personally, I’ve never actually met anyone whose conscience is weak in the area of essential oils and the occult. But perhaps you have met such people. Perhaps you are one of these people. If so, while we might be at odds on this issue, let’s agree together to “pursue what makes for peace and for mutual upbuilding” (Romans 14:19), and I’ll promise to put the essential oil diffuser away if you come over to my house. 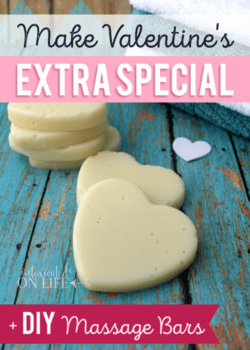 Second, it means we should partake of the Lord’s good gifts with thankfulness (1 Corinthians 10:30)—and this includes, if you want, essential oils and their amazing benefits. Don’t let the misuse of oils (either in the ancient past or in the present) dissuade you from using them. “For everything created by God is good, and nothing is to be rejected if it is received with thanksgiving, for it is made holy by the word of God and prayer” (1 Timothy 4:4-5). I hope I answered any concerns for the Christian community about essential oils and the occult. Feel free to leave comments and questions below on this topic. G*d gave us all things to be thankful for and to use well. Anything can be used inappropriately. And He can make anything useful for Him. He’s kind of awesome like that. Also worth know that in this age of hyper-regulatory oversight by the FDA that many companies are forced in to bizarrely vague descriptions of their oils in order to avoid being accused of prescribing drug-like qualities to the oils that they sell. I think to assume that this vague language is indicative of some underlying cult-related influence is a bit of an over simplification of a difficult regulatory and marketing environment. No seriously, I get that. I also know that some companies do a better job than others avoiding mystical language and going with something a little more straightforward. Great article! I also want to mention that essential oils are mentioned many times in Bible! There is a great book called Healing oils of the Bible which talks about essential oils and how they originated. I’ve heard about that, yes. Aromatic oils were most certainly used in biblical times. Hi Luke – I think we need to start with the fact that essential oils are derived from God’s creation. We eat plants and fruit from the earth. We know that minerals from the earth help with our health. Crystals have ‘natural’ (God-given) properties… the reason they were originally used in cell phones. Same with obsidian rock, which helps deflect EMF’s. (Makes me wonder what other rocks are useful!) Same thing with diodes that people use on their cell phone to diminish EMF’s. Biofeedback is based on how God made our bodies (atoms, energy, etc), and is used to correct illness and disease. Same for massage therapy. None of these things ON THEIR OWN have any occult entanglements. And, to the best of my knowledge, scripture doesn’t give any indication that these are wrong. There are some things where it does. However, I’m going to make sure the massage therapist isn’t “laying hands” on me while praying to a foreign god. And while yoga is intrinsically linked to Hinduism and IMHO should be avoided by believers, stretching is stretching. And if you want to stand on your head while stretching, go ahead. Finally, we need to remember Paul’s teaching on those who were weak. They would not eat food that may have been offered to false gods. Those who were ‘strong’ knew the food was okay to eat. I agree, Wade. For the same reason Paul didn’t want the Corinthians to actually attend pagan worship ceremonies, we shouldn’t immesh ourselves in communities that use essential oils in a pagan manner—actually practicing cultish behavior. I’m not sure what you mean by your parentheses at the end. 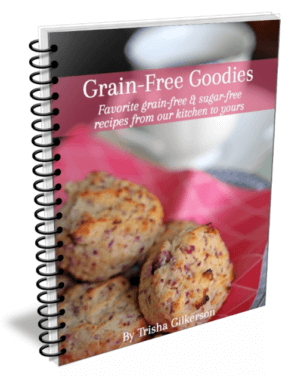 Are you talking specifically about clean and unclean food? Yes and no. I don’t see scripture dealing with clean and unclean “food,” but rather clean and unclean animals. Unclean animals were never considered food. And I know it’s not a common belief in much of the church, but I’ve come to the conclusion that this never changed. This isn’t the only area where the Christian church teaches a “Christian” version of scripture in much the same way as the religious leaders of Jesus’ time taught a “Jewish” version of scripture. I hesitated bringing this scripture reference up, not wanting it to be a distraction from the point of your article. But concluded it was very applicable in that, if Paul said being strong is being able to eat literally “all things” (as opposed to all things according to God’s Word), then it leaves a gaping hole for others to say they’re strong enough to do things (like possibly participating in ceremonies that are pagan in nature). While we probably differ on this issue of clean and unclean (and its application to Christians) I completely agree with you that this isn’t the subject matter Paul is talking about here in 1 Corinthians 8-10. Totally agree with you Wade. Why did the Lord Jesus need to use mud in order to heal the blind man? Of course it is God the Healer, but in this world mens, women,object are used by God. Fantastic article!! Thank you for writing this. Excellent! I’m not sure who put it out (DoTerra is my guess), but I have a copy of “Essential Oils of the Bible” and it says that oils are referenced in 36 of the 39 OT books, and 10 of the 27 NT books. They are mentioned more than 500 times in the Bible, including Proverbs 21:20, Revelation 22:2, and Mark 6:13. Full disclosure, I sell DoTerra essential oils. But I agree with your article. I’m not sure who wrote that book, actually. Actually, all the references to oils in the Bible are speaking of olive oil used for lamps, medicines and anointing. It was sometimes perfumed with spices to add fragrance. But no essential oils are mentioned in the Bible. Check a good concordance with a hebrew and Greek dictionary. 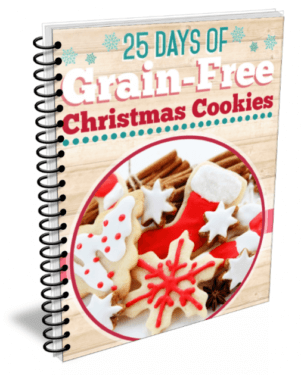 Frankincense mentioned is the resin from the wood of the frankincense tree. Essential oil like medicine i, guns , bombs and many other materials is a dependence on something other than The Spirit of God reflected in our Spirit. Medicine has its origins in paganism . It might temporarily heal the physical but it will never help you in reflecting the Spirit.. it is a dependence on something other than The Spirit of God the reason The Messiah, Jesus Christ came ; to show us God, The Spirit and the resulting Power. I believe we should be cautious in the area of EO’s. Mostly about what (when it should be WHO) we’re looking to for healing, stress relief, etc. Most companies are rooted in idol worship/aromatherapy unless you’re purchasing Christian anointing oils – which are truly made to be used the Biblical way. I have no affiliation with oil companies, but our church uses ABBA anointing oils. I’m not saying using EO’s is wrong. We use natural products, most with EO’s. Again, this is a question of HOW they’re being used and IF it’s in a manner that glorifies God. WHO are we trusting and ASKING for healing from? For the JOY of Christmas? For financial freedom?! Etc. Our Heavenly Father wants a relationship with us, wants us to run to Him for all our needs. Emotional, spiritual and physical needs! So we should be cautious in our own mindset, He knows our heart. BTW: Young Living & DoTerra are LDS, Mormon rooted companies. Sisters, please don’t confuse them with standing for the God of the Bible 😊 When we learned what their oils stood for, we decided these brands and some methods touted were not beneficial for our family. “Everything is permitted”—but not everything is helpful. “Everything is permitted”—but not everything builds up. You are right Amy / people do not know their scripture. And anointing people with olive oil was symbolic – never meant for anything else. The method used for e tracking/distilling essential oils was not even available then. Although I agree nothing inherently wrong with using oils buying into a business and it’s methods of of using new age philosophy to generate sales is wrong. Co-mingling world views for a Christian leads many astray. The problem these big EO companies have isvthat it is t a big enough market unless they make these fantastic claims. It is true essential oils are not really used in the Bible, but there are a lot of things not mentioned in the Bible we use for modern health. As you can see in my article, I’m personally not a fan of endorsing companies that capitalize on pseudo-spiritual language to sell their oils, but there’s nothing inherently tainted about the oils themselves. Not to mention that the wise men brought frankincense and myrrh to Jesus! Don’t get me wrong this is a great article. 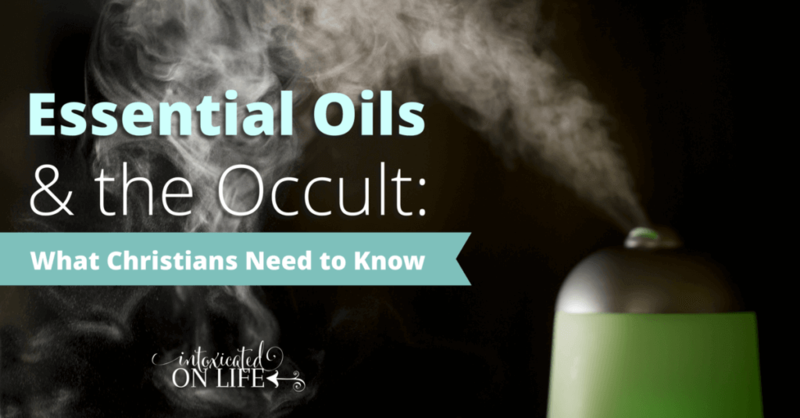 However I think the idea that you can’t use oils because members of the occult do seems silly. They also use forks, wear pants, and drive cars to their meetings but we don’t avoid those things. God wants us to be healthy and he gives us what we need, including oils. Believe me, I totally get that. I’ve never actually met anyone with these convictions, but I’ve read a number of blog articles online and received several emails about it. I grew up a missionary kid in Europe and recently lived there for 3 years with my own family. I teach classes on essential oils and so planned on doing the same there. Well, to my surprise, I found many Christians (the majority) who struggled with anything I said that seemed even a little bit like something related to Chinese Medicine or what they called “New Age”. Reflexology was definitely “out” and not something I mentioned any more because Christians would rather not associate with anything remotely ‘pagan sounding’. I think it comes from a history where the occult was very real and quite ‘think’ in some areas. Coming back to the USA I find it interesting how American Christians seem willing to accept almost anything and don’t think much to question or “test everything” as we’re told to do from Scripture. Yet, in Europe, there seems to be the other extreem from Believers. Thank you so much for writing about this Luke! I agree wholeheartedly with what you’re saying and I’m glad to see an American bringing up the point for the rest of us to mull over and consider! Thanks for sharing that, Grace. In that cultural setting, I suppose you would be likely to see a lot more of that. I think that is a good example of what Paul’s churches were experiencing as far as meat sacrificed to idols. In the cosmopolitan environment of some of those ancient cities, you’d have whole groups of people who simply couldn’t fathom eating the meat they once associated with pagan gods, and others would had no problem with it. YES! Having lived in both Europe and Australia I can tell you that believers in those regions are a lot more aware of and skeptical towards things that seem New Age or occult. This is also because they are aware of occult and New Age activity in their areas and it is not seem as fooey or hocus pocus. Here in the US there is almost an idea that pagan, demonic, or satanic practices are silly and a joke. In my opinion, that’s why you get a lot more push back on essential oils from non-Americans. No doubt. I think it’s important to keep Paul’s perspective in mind. He was founding whole churches filled with people with deep backgrounds in paganism, and yet his attitude was not that paganism was a joke, but that it was simply false. Whatever “reality” there is to pagan gods (be they manmade gods or demonic beings) did not take away from his freedom as a Christian to enjoy the good gifts God had given. Only love for a brother constrained his freedom. i agree with all the biblical reasons of oils. i have been interested in biblical uses of oils a long time. i have read that we need to be careful where we buy them from, because there are people of occult back ground who can pray over these oils and curses placed on them. yes i believe this especially in these crazy latter day times. I don’t think this is something we as Christians need to fear. While I get that spending our money wisely is important, I don’t think Christians need to be afraid of curses from occultists. The one who is in us is greater than the one who is in the world (1 John 4:4). The Scriptures say, “Like a sparrow in its flitting, like a swallow in its flying, a curse that is causeless does not alight” (Proverbs 26:2). In other words, an undeserved curse will not land on its intended victim. We can stand knowing God is greater than all the curses of the occultists. Beautifully and wonderfully written! I agree! i use and sell oils and LOVE them!! God is good in all He has created and given us! Thanks for posting about this. I have been involved with EO’s in my massage therapy practice for 19 years. 4 yrs ago at the church i attended, a few elders had made some judgements based on it’s use and me being a ‘seasoned christian’ as they say, that I was being fooled and back sliding. I used to work with an herbalist and the wise woman traditions which is pagan in theory before i became a disciple/born again so this was probably why. But I know that God sees the heart and it wasn’t MY desire or intention to use THE oils as the healer but naming Jesus. I recognized that God is the creator of all things and He is worshiped NOT the oils. Oye!!! I love the part you said about the meat. I’ve never used that as backing up my actions with scripture. Great read! Glad it was helpful. The point of the whole this is that oils have certain properties given by God, and these can be used without fear of any pagan associations—even if a pagan uses oils for the same properties. There are a lot of things that non-Christians use in non-Christian ways. this doesn’t mean we don’t use those same things to the glory of God. Your article is timely for me. We are in the process of investing in some oils. Never did I consider the Occult, but I fully know I am using them to help us to become whole and that God made it for us. I agree with what you and Wade said about if you are weak. 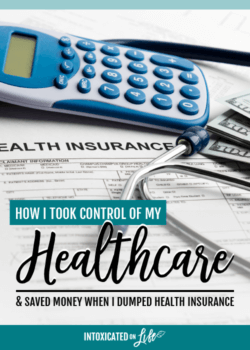 In my 20s I went to a holistic practitioner to help me conceive. That being said half way through the class I left with an uneasy feeling. My ” spiritual mom” told me that its because I would have depended on them and the herbs etc… to get me pregnant. Being weak, I agreed and left it alone. I can proudly say now in my 30s God has proved Himself to me and given me 2 kids and one more on the way. No fertility drugs or herbs etc.. So listen to your convictions and ask God is what I say. It reminds me of the time I read about candles, Dirt Devil vaccuum and other such devil name items we use in our home referencing the enemy. Glory is being given to the wrong person. It’s good that you’re listening to your convictions. Just challenge those convictions with the Word, and allow God to transform you. That was insightful. As a believer, I would chuckle at the ‘spritualized and mystical’ explanations of EO. However, awareness of the darker side of it was enlightening. I thank God for EO’s and their positive effect on our health. Very good article on the issue! Thanks, Bill! Glad you liked it! I love your blunt speak, Luke. I laughed out loud at this a time or two. I would love for you to write a post on Christianity and yoga. I lived in Europe and knew many who were formerly Hindu and said that yoga simply could not be separated from worship to Hindu gods because it literally was an act of worship. They were shocked to know Americans hold yoga in their churches. Is your opinion, like many, that the Paul argument about food can be used in this yoga situation? Whatever it is you think, I’d love to read a post from you about it! Yoga is a tricky one, because when many refer to the practice of yoga, they aren’t just talking about body positions; they are talking about specific meditative techniques and spiritual practices—a whole metaphysical experience. As with anything we do, the questions is why we’re doing it. The discipline of yoga positions can be a valuable type of physical exercise for learning to control the body, but the full practice of yoga itself is an inner discipline to expand one’s consciousness and, in some schools of thought, to achieve omniscience or some other supernatural feet. I don’t buy the idea that merely putting your body into a particular position means you’re offering your body to a Hindu god, because it is our Creator God who gave our bodies the ability to achieve various positions. I have no doubt the physical positions and even certain calming states of mind can be beneficial disciplines. I think once you start getting into the actual spiritual beliefs behind yoga’s origins and start practicing those spiritual beliefs in the discipline of yoga, it is then that you have a problem. It is one thing to eat meat sold in the marketplace; it is another to sit at the table dedicated to demons to eat the same meat. It is one thing to partake of certain physiological benefits that yogic positions and techniques bring; it’s another thing to partake of the entire yoga spiritual experience. I would have to do more research on the topic, but those are my initial thoughts. This was a very well-written article. Thank you for articulating the important points about oil usage with such clarity and authority, especially with the use of siting St. Paul. I have actually never heard of the occult and oil usage. (I don’t know why – we’ve used oils for years. Maybe I just don’t worry and “go there”, so this topic has never come into my life. )I have heard of the occult and homeopathy. My family uses both and I see no fear sinning against Christian principles for using either. Your article put into plain words why it is good and healthful to use the “things of God” as He intended us to use them. St. Hildegard was a medieval woman who write books about using herbs and such to promote healing. Her works are still used, cited, and referenced today by Christians and non-Chtistians in the medical field because of their proven abilities to heal and their amazing scientific roots. Her understanding of things in nature for use as medicine was given her by The Almighty. Makes sense that oils, which also come from nature, should and can be used to help with our health. After all, God loves us always, but He also helps those who help themselves, and I believe using oils for the benefit of being healthy shows our Good God we love ourselves and want to take care of ourselves, as He has said we should. I’ve not heard of St. Hildegard’s use of herbs or her books, but thanks for letting me know! If you want to know how a Satanic cult uses oils then you may email me personally, but I’m not going to get into it on here. I was born and raised into a multi-generational Satanic cult and because of that I believe that I can attest to the facts of the occult and how oils are used and marketed. Secondly, there are essential oil companies that are run by people who have ulterior motives. How Satan is using this to his advantage is so hidden and seems like nothing but it’s not nothing, it’s scary and it’s dangerous. I find it very hard to ignore the fact that you have Christian women, mainly, who are selling these oils and touting how they will change your life and the health and lives of your family and yet not many have really researched the company or the oils that are being used. When I can’t even go to church without someone talking about, trying to get me to buy, or handing out samples then there’s something wrong with the picture here. I’ve seen women who have made these oils, that they know nothing about, their god and I’ve seen women being shunned or laughed at because they aren’t using these oils. Now, I’m not saying that every single oil and every single company are shady. What I am saying is that some oils by themselves or mixed and used in a way that a company is telling you to use it, with a script of things to say is flirting with evil, whether knowingly or unknowingly. Also, just because something is created by God doesn’t mean that it’s for everyone and sometimes in our effort to chase after what is good we miss God altogether and His will for our life. I just know that there are underlying schemes of the enemy to get children of God to focus on something other than His will for our lives. We need to bring these things to The Lord before we jump in feet first because only He knows what is evil and what is good. You have no idea really what exactly is in each bottle or what someone is doing or saying when creating these oils. We could unknowingly be inviting evil into our home because we didn’t pray about it first. You may think I’m nuts but time is short and satan is prowling like a roaring lion ready to take advantage wherever he can. So, just pray and ask Him first what He wants for you and your family. Thanks for the remarks. I’m curious about some of the stuff you said. You said, “When I can’t even go to church without someone talking about, trying to get me to buy, or handing out samples then there’s something wrong with the picture here.” I agree. This, I think, would be true about anything that a person is trying to sell; not just oils. You said, “I’ve seen women who have made these oils, that they know nothing about, their god and I’ve seen women being shunned or laughed at because they aren’t using these oils.” I know what you mean. I’ve seen similar tendencies. It is easy to make a god out of just about anything—anything to distract us from the One who should be our first love. If you sell oils, great (my wife sells oils), but don’t make a business venture into your life—that’s just idolatry. You said, “What I am saying is that some oils by themselves or mixed and used in a way that a company is telling you to use it, with a script of things to say is flirting with evil, whether knowingly or unknowingly.” I’m not following you here. Maybe I just missed something. What exactly flirts with evil when you use certain oils or when you sell them by using a “script” provided by the company? You said, “We could unknowingly be inviting evil into our home because we didn’t pray about it first.” What exactly do you mean by this? Do you mean you could be inviting evil into the home because you are becoming obsessed over something that isn’t God? Or do you mean there’s something shady about the oils themselves? I am so grateful for your comment. I never respond to blogs or posts, or anything of that nature, but this one just jumped out at me. I will remark here that I am a homeschooling mom of four young children, was born again at age 25 and regularly attend church, so I wouldn’t consider myself to be “weak” in the area of determining right from wrong when it comes to the infiltration of the New Age into our society and even our churches today. There is a fantastic book about the New Age leaking into our churches called “A Time of Departing” by Ray Yungen. Also of interest in this New Age subject matter is a book called “For Many Shall Come in My Name.” Talk about a book that will give you an insight into the ulterior motives! I was raised in an extremely abusive “Christian” home and turned to a New Age way of life once out from under my mother’s control. I followed everything Lisa’s reply said, because I have lived it and know what she is talking about. Now don’t get me wrong. I’ve been using oils for 4 years and do make an income from them, though I am not actively making it a business. More than the money I make from the oils though, I desire the truth in this matter. No money could ever win me over to something evil. I believe 100% with Lisa that companies all over in every aspect of our lives have ulterior motives and for us to turn a blind eye to what they are selling us because we are “strong” is simply wrong and indeed is inviting evil in unaware. Now I personally feel that oils are taken from a God-made plant and can be used for our benefit medicinally. But that’s it. I don’t believe the oils are going to help me spiritually. I’ll also admit that I have never looked very deeply into Doterra (that’s the company I buy from) and what’s really behind the business. I have heard that the founders are Mormons and when they came out with their “Forgive” oil, and the others in that Emotional Aromatherapy collection, I was very suspicious and have never tried those oils because in my opinion, it’s totally not okay! To use an oil that “helps you forgive” is like saying Christ’s blood and the work of the Holy Spirit in your life isn’t enough for you to extend the grace and forgiveness that Christ first showed us, and that this Forgiveness oil can do the trick. And to back up to the point about founders being Mormons, I definitely believe that they have ulterior motives, whether they are conscious of these motives or not. I know that Satan is conscious of his motives and will use those he can in his subtle scheme. Do you think that New Agers think they are evil? No! They think they are enlightened and know the truth! So what they do isn’t to harm others, but to help them also receive this enlightenment. I had this experience with homeopathy. I’d be very interested to know what you think about homeopathic remedies. When I first “dabbled” with homeopathy, I was under the impression that it was just natural medicine. Come to find out that the man who essentially invented homeopathy had roots in alchemy. Homeopathic remedies are prepared in a ritualistic way to imbue the substance’s “vital force” into the remedy. It can be said that none of the natural substance is left behind, but rather, it’s energy is left behind. I can attest to the subtle deception here, because what I experienced after using a remedy was other worldly and mirrored a drug trip from my former New Age days. Now that’s not something one can dismiss. I also have a sister-in-law who is, sadly, studying to be a medium. She sent my family handmade necklaces for Christmas. After a moth of strange happenings in our home, my husband decided to look at these necklaces more carefully. After counting the number of beads in each necklace’s individual pattern, we found that she had used occult numerology to assemble the necklaces. My husband took the necklaces out and burned them, and I kid you not, there was a change in the atmosphere of our house. Even my mother-in-law, who doesn’t believe in any of the New Age mumbo jumbo, said she honestly did feel a weight leave from our house. So I say all this to say that, yes, indeed, no matter how “strong” we are, we can invite evil in to our home unaware and it is our job as Christians to look into things on a deeper level and be aware of what we are a part of. I do find it interesting that a majority of essential oil users are Christian women. This thought had never struck me before…until now. Wasn’t Eve the first “Christian woman” to be subtly deceived by the devil? Things to ponder. Again, not saying that I believe essential oils are wrong, but let’s remember that oils don’t heal us. Only by His stripes are we healed! Valan, you might be interested to read an online article by Pastor Dean Odle titled, “Willow Tree, Essential Oils and Other Accursed Objects.” He recounts an experience he’s had specifically with doTERRA oils. Most believers would not be able to receive what he says, but as the next commenter wrote, “He who has ears to hear, let him hear.” We as believers need to stop rationalizing the things we dont want to let go of and seek the Lord on a matter. And obey Him! He puts boundaries out there for our protection — and to test our hearts. Why do you believe most believers would not be able to receive what he writes about? Does he say something controversial? I am agree 100%. I am from eastern Europe growing up in a town where people practicing occult . 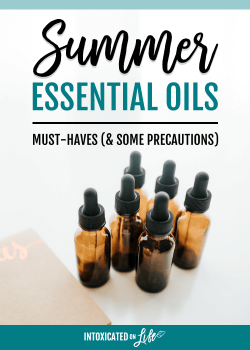 When I become Christian I was amazed how easy Christian people agree to use in their life’s (without praying or recerching first )stuff like essential oils… I remember HOW my grandma praepared THE HERBS for this. She would go at night with a “special “ prayer and would take her black wand to touch the herbs first then harvesting. So before mocking Christians from Europe maybe people should think and check first.? And even non Christian people in my town would not recommend to the friends to go or touch anything like this . You just inviting Satan himself into your family. So Symptoms would be unexlainable sickness , problems with kids with a spouse , weird accidents even death… So who has ears to hear let him hear. It’s true that cultural context has a big role to play in how a Christians conscience feels about these matters. were ESSENTIAL oils in the bible? or did that process come later- oils yes, diffused and other processes yes- and frankincense is a ‘sap’ or resin… i have more questions than answers…so, improper use- either from occultist connections or safety issues do concern me- but lately i have been concerned w/ how Christian women are defensive if you question their companies’ claims…it is like it has become almost entwined w/ their ‘religion’/Christian walk- or they are being ‘brain-washed’ to a particular company only- no questions asked, no double checking safety ….they all use the same terminology and phrases…almost creepy to me. it has become the “Christian-stay-at-home-mom” thing to do. Honor God’s gifts YES- and pray for discernment. I think 3rd party testing is really important when it comes to oils. If the company you buy from also is the only source for quality control, it may be better to look elsewhere. G*d made all things and specifically told us that every growing thing was for our use. In my mind that includes herbs and oils. Hunter, what exactly is your concern: that the Bible doesn’t mention inhaling the fragrances from oils so therefore it isn’t “biblical”? I’m not sure exactly what your question is. I appreciate your perspective. We can sometimes get too carried away with that “slippery slope” philosophy that we end up avoiding things that God intends us to enjoy for our good and His glory. I don’t personally use essential oils, but I have no problem with anyone else using them. Thanks for sharing this! It was apply to many different areas. This is a very interesting article. I just recently started using essential oils, and they have really changed my perspective on certain things, such as OTC medicine. I believe everyone needs to do their research and decide what is best for them. I do believe oils are God given, and I intend to use them properly. I have not heard of the wicken argument, but I try to learn something new every day. Thank you for sharing your knowledge and opinion! Thanks for stopping by! I’m fairly new to it as well, as I’ve never actually met anyone who has a moral qualm with essential oils. I am learning, however, there are pockets of the world where this is a real stumbling block for Christians. Thanks for sharing on Let’s Get Real Friday Party. Thanks for bringing up this subject. I do agree that if it brings up things, then don’t use them. Everyone needs to do what works for them. However, anything in this world can be used for good or bad. I had no idea that this belief exists! I use essential oils to care for my family’s health and am so happy that God gave us plants that can help us. Luke, thank you for this article. I’ve had some concerns over oils, so I appreciate you tackling the subject. I came here from Little House Living. Glad we could be informative! I don’t think we should refer to ourselves as “mature” Christians….we as Christians are never mature. We are always still growing and once we believe we are mature, we actually fall away from God because we believe we have “arrived”. The New Testament uses terms expressing immaturity and maturity, so I don’t think it’s a problem if we do the same. Thank you for this insightful and clear article on essential oils from a Christian mindset – shared it on my FB page. I am a great believer in EOs – that they are truly a gift from God, Who created all growing things, thus knowing what wonderful things He placed into them for our use and benefit! Hi, from what EO company is your wife selling? What is a clean EO company? She sells for doTERRA. We’ve found it to be pretty solid as far as the points of this article go. Hi Luke, I read this article a while back when you linked it on Facebook, but I was reminded of it today when I encountered a Christian touting the spiritual benefits of essential oil (frankincense specifically). This particular lady is in a leadership position in our church and she was helping us make roller balls as an activity at our church MOPS group which was great. She told us a bit about essential oils and then wanted to focus on frankincense. She showed us her essential oil book (I don’t remember the name of it), and did warn us that as a Christian she couldn’t accept everything in the book but she had to pick and choose. Then she read a passage about the spiritual benefits of frankincense; I don’t remember the exact wording but it was along the lines of enhancing personal and spiritual love, heightening awareness, awakening spiritual senses, enhancing connection with inner divinity, etc. This lady then explained that she places a drop of frankincense on the roof of her mouth before her daily quiet time because she wants to be open to anything God has for her. I’m wondering what you think is a Biblical take on this, specifically Christians using essential oils for spiritual benefits. Well, frankly, I first and foremost think such notions are totally bizarre. There is zero evidence that any substance can have a transformative affect on one’s character or connection to God. Second, such ideas are deeply rooted in paganism, as this article outlines. I’m not suggesting there’s actually something demonic about the oils this woman is using, but her belief that the oils have these spiritual properties is troubling. Don’t get me wrong. It isn’t at all my tendency to worry about old pagan practices that have been stripped of their meaning in modern culture—like when people play bobbing for apples even though it is based on an old Celtic divination game. These things don’t really bother me because the intentions of the participants are very different than pagan counterparts. But when someone participates in a pagan religious practice for the same reason pagans did (or still do), then this seems to me to be a real problem. Thanks for your reply. I completely agree. I was quite troubled by the concept of Christians believing oils (or any substance) has spiritual properties, but I was seriously wondering if I was the only one in the group feeling that way. Like you, my concern is not about what pagans have or do use the oils for; my concern is when Christians in “essential oil circles” start buying into and believing the “neo-pagan gibberish”. Do you have any further suggestions for approaching Christians in that place? For example, explaining why it’s not biblical to believe oils or other substances have spiritual properties, and perhaps why it’s problematic for Christians to adopt pagan practices for spiritual enhancement or “to get closer to God”. I think the real question is not whether oils can have spiritual properties. The question is whether it is proper for Christians to try to harness those spiritual properties, real or imaginary. For instance, if an oil practitioner says a specific oil helps her to practice godliness, this is ascribing to an oil the very thing God promises to provide: the fruit of the Spirit. So I’m curious, what brand of essential oils do you reccommend? I had thought the now foods brand had a fairly neutral stand but if you actually read their descriptions they are just as bad as young living. I want to know where I can buy oils that aren’t plastered all over with “drivel”! We use doTERRA and have found them to be pretty good with that kind of stuff. Hi Luke, thank you for taking time to explore this topic. My family has been using doTERRA oils for some time now and we are amazed at how valuable they can be in the wellness journey. We had decided to start selling the oils and were about to launch when a friend who we respect from Church raised alarm bells. The concern was about the claims of how some oils are able to bring you through grief, help you to learn forgiveness etc. Once I read more into doTERRA EO propriety blend descriptions, I too felt concerned about the claims that the oils can promote forgiveness and console those who are grieving …..” Losing something or someone you love can be deeply disorienting and painful. Words unspoken and questions unanswered may keep you worried and unsettled. doTERRA Console Comforting Blend of floral and tree essential oils will help you close the door on sadness and take your first steps on a hopeful path toward emotional healing. Bind your broken heart with doTERRA Console Comforting Blend”…..this description is from the doTERRA website. As a child of God I know that only He has the ability to heal our souls and be our true comforter. I am wondering how your wife is able to reconcile what we know about God and the claims of the EO from doTERRA. We have to ultimately make our own decision on whether to pursue the business but any thoughts you may have will be helpful. We are still new in our walk with Christ and will not want to step into dangerous spiritual waters whilst still growing our faith. Thank you and God Bless you. I just read the description from their website and didn’t see the “forgiveness” line, but I agree that the language can be a little bizarre—or at least not the way I would phrase it. Still, we know essential oils can impact one’s overall mood and emotions, just like any substance that interacts with brain chemistry. In my mind there’s not a lot to reconcile here. If I made the claim, for instance, that the presence of close friends and family after the loss of a loved one was a comfort to me, that they helped me find emotional healing in a time of loss, I doubt this would be all that controversial to a Christian. Secular people and Christians alike move from grief and malaise to happiness all the time through the help of friends and family. This doesn’t deny that there’s a kind of hope that only God and an eternal perspective can offer. It merely affirms that there are all kinds of created things (like friends and family) in the world that assist us in our emotional wellbeing. 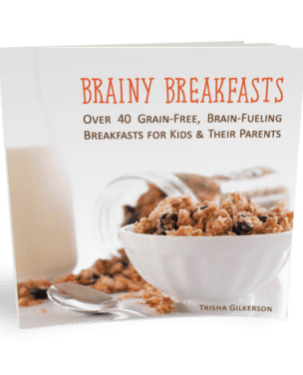 The same is true when it comes to various substances (food, drugs, oils, herbs, etc.). 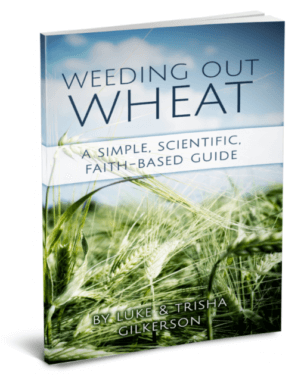 I’m reminded of Paul’s visit to Lystra when he told the pagans there that God “did not leave himself without witness, for he did good by giving you rains from heaven and fruitful seasons, satisfying your hearts with food and gladness” (Acts 14:17). He doesn’t tell them, “You’ve never been truly glad in your life because you don’t know the true God.” No. He says their happiness thus far was genuine happiness, prompted by created things that were designed to bring happiness: rains, fruitful seasons, food, etc. These things are not competition to God’s joy. They are witnesses to that joy. I very much appreciate this article for the Biblical truths rather than just someone’s opinion as most of what I have seen has been. You mention that some companies use the New Age/cultish language – do you then not buy from those companies? In particular I love young living oils however they use language like that and I’m not sure if I should support a company like that or not. Tons of my Christian friends who I love actively sell it. I don’t want to hurt their feelings, I want to support them, and I like the product, but you get people and blogs telling you it’s evil because of how they market it and then you’re not sure what to do. I didn’t even know it was a thing until someone tried to make me feel like my kids were getting colds because I was using oils and we were being spiritually attacked. ?? That kind of spiritual advice (your kids getting colds because they are using oils) is either based on conjecture or some sort of prophetic insight. If its the former, it’s groundless advice to give you. If its the latter, it needs to be tested vigorously to see if it is of the Lord. That said, could oils (or other objects) be spiritually tainted such that whoever uses them can get sick? I’m unfamiliar with anything in the Scripture that would give us that impression. That’s a good point. Honestly my kids were sick before I started using the oils. This person is just against oils in general and thinks they are evil along with yoga also. While her warning made me feel guilty and like a bad mother and Christian, I would not call it a prophecy. Thanks for your response! I know this post was from like 3 years ago, I appreciate your time. My pleasure. I highly doubt your friend is meant her advice as some sort of prophetic statement, but when people make these kinds of claims, not based on Scripture per se, making claims about something happening in the spiritual realm, they are acting as if they have insight they don’t have—which is quite presumptive. When people have made these kinds of claims to me, I ask them, “How do you know this?” which often exposes the foundation (or lack of foundation) they have for these claims. I purchased some organic herbal tea with valerian root to help as a sleep aid and I praise God for you and your wife who have been graciously articulate with shining light on the subject(s) at hand. He seriously is “most glorified in us when we are most satisfied in Him,” as Piper stated. He works in mysterious ways!!! Side comment from the article at hand: How was RTS? I stumbled across this post and noticed you graduated from there (not sure if I would’ve kept reading as much as I did in the comments if I hadn’t seen your schooling achievements). I think there’s confirmation behind listing that as a point of reference and validity to your topic (at least I think so laugh-out-loud but it’s like 3:40 in Corpus Christi, TX and my mom is currently sleeping. It’s marvelous how God made known to me His sovereignty. I was recently delivered from the streets and threw away $4000-$7000 of THC marijuana (10-25% THC) and Concentrates (60-80% THC). I’ve been clean since July 3. 2017 around 11pm and started towards the end of June 2016 or so and had to flex on our God. A full year now cold-turkey gobble gobble. I’ve come to learn and to understand that He is a greater treasure for me to sow into rather than my former greedy pockets. I was being convicted by the Holy Spirit after a year of not reading (the story is too long for me write). It was confirmed to me people had been praying once I asked them during fellowship at my co-pastor’s house which is awesome because God is so merciful (Romans 9) ? I didn’t grow up in a Christian based family, but I was adopted according to His loving kindness and grafted in to the family! We’re brothers in HIM for all eternity, here and now, and the eternity to come. ?? I’m so interested in attending RTS and applying for scholarships/grants. I’ve completed my certificate in ministry at the South Texas School of Christian Studies. Although I’m appreciative for the different doctrinal schools of belief there that have challenged me all the more to study and to understand why I believe what I believe, I very much would like to attend RTS. He’s delivered me for sure from slavery. I had 2 guys, one of which his fruits are showing he’s backslid as well (known him for a long time – considered himself a reformer like 2 years ago) and one of which I spoke with about a ministry he was starting with feeding the homeless and taking care of others (don’t know him too well to say much further), but God used them both prior to me throwing away all those street drugs (TX doesn’t even allow tha here so off-the-bat I wasn’t abiding by God’s word – big no, no). I clearly knew better but had yoked myself to the father of Lies which brings me to my next statement.. The guy I previously mentioned who has backsliddin’ was used by God to point me to Isaiah 9. I totally didn’t realize this was the chapter about Him being the wonderful counselor, but the verses he showed me was “for You shall break the yoke of their burden and the staff on their shoulders. The rod of their oppressor, as at the battle of Miriam” I was like ?????. The guy who showed me the Scripture was just holding a paint brush casually not using it for any one thing and mentioned something to the extent, “but I just don’t know if I really believe.” All the meanwhile the other guy who was saying he was starting up that ministry previously mentioned before was sitting with us at the same table (just us 3 ). I concluded and said I’ll come back and have a praise report laugh out loud!!! Surely enough I came back and praised God what He led me to do, but I stumbled across a marijuana plant growing in his backyard..
God is still good though and we can trust His heart and promises when we can’t trace His hands, I think is what Spurgeon said.. I guess I was predestined to stay awake until 4:03am to write all this, but all this to say God is good to sinners like me or are simultaneously saint and sinner. Saint justified by the blood of Jesus Christ in which I place my faith in, but sinner, I dare not call God a liar that I need His forgiveness continually and evermore)! I’d like to start a ministry group called “Chosen Few.” I was given this name sometime in like 2015 in coming to understand and to live by what it means to be reformed. In Him, we were chosen before the foundation of the world (Ephesians 1). Some professors at that STSCS school I attended aren’t reformers or are closet-reformers if you catch my drift..
God bless you for even reading up to this point! I love y’all and thank the Most HIGH God – I love that He’s my HIGH now not THC. Hi Hunter. My RTS experience was wonderful. Granted, I went pretty slow because I really wasn’t in a huge hurry to get my degree (it took me a little over 6 years to get my MA in Religion), but I enjoyed it a lot. Excellent teaching and instruction. I highly recommend them. Plus, I only had to visit campus one time (at the very beginning of my degree for a short orientation)—but the rest of my classes and even my thesis presentation was done entirely online. Very convenient. This was a great read. I have been an essential oil consumer for almost 20-years. They have changed my life on so many levels. Thanks for the detailed post. Would there be any biblical contradiction to believing oils can “release emotions” such as fear, etc? I have dear Christian friends who sell the oils and claim the oils can “release” fear, resentment, self blame and regret. Can oils “release” these heavy emotions? They aren’t claiming the oils are merely giving off a relaxing aroma but rather that they can release emotions. I obviously haven’t said anything to them and do not plan to. But is it biblical/unbiblical to think oils can do these things? I find that language to be problematic. Fears, resentments, blame, and regret are not just things we feel. They are things we DO. Moreover, these are things we do based on specific BELIEFS we carry about ourselves, about God, about our situations, etc. I don’t think any substance can change these thought processes alone. A substance might put us into an altered state of mind to temporarily forget these things—and perhaps that’s what your friend is referring to—but even so, I’m skeptical essential oils are that potent. There is quite a bit of literature out on Essential Oils and their effects on the olfactory system, limbic system/pineal, and memory complexes in the amygdala. Very interesting. Dr Benjamin Perkus used essential oils in his practice as a psychologist for 15+ years and documented results before ever publishing. Again, very interesting. I am so thankful where God has led me – and continues to do so. His ways and Hos thoughts truly are higher than ours. What about Young Living? Does anybody know anything more about the Owner and Company?Would like to know if they are doing this hocus pocus while preparing. Good question. The owners are Donald and Mary Young. I know very little about them personally. I’m sure you could easily dig up some dirt on them (many already have), but I can’t substantiate the claims at all. Even if there is something spiritually shady going on when it comes to Young Living (or any company, for that matter), I’m not sure this is really the point. We know for a fact there was some serious “hocus pocus” going on with meat sacrificed to idols—everyone knew the meat had been dedicated to a pagan god or goddess some time that day—but Paul doesn’t seem to think the meat is at all tainted or something Christians should avoid. The point is, the oils themselves are simply oils, regardless of whether the owner of the company is a neo-pagan or if they are mixing the oils while praying over the remains of a vivisected chicken. Now, that said, I don’t think the owner’s spiritual views are totally irrelevant either. Everyone’s worldview naturally bleeds into how they do business, and if I found out that the owner of Company A was a Satanist, it would give me pause about buying their products. Not because their products are tainted with evil spiritual energy (whatever that might mean), but because Satanism extols vices like egoism, individualism, Social Darwinism, indulgence, and vengeance. Such beliefs are bound to bleed into the way one works with others, and may cause me to think their products are potentially inferior. Yeh, I would like to know the questions that Gina asked. Have you considered updating this article? These problems continue to grow as EO’s are beginning to gain mainstream popularity. It’s important for Christians to be aware of the subtle traps of the devil. Maybe I’m not seeing exactly what you think needs to be updated. I tried to write this in a more or less timeless way, giving the principles I think offer some guidance on the matter. Do you feel like there is crucial information missing? I’ve been making bracelets with crosses. They are being sold on consignment at a Christian Bookstore. I would like to make the lava Stone bracelet with a cross and the salvation message beads. I want these bracelets to glorify God. What essential would you recommend and the meaning. I have seen similar bracelets called yoga bracelets or Buddha. I don’t want mine to have any connection to these. Thank you. I’m not sure what you mean by the “meaning” of the oil. If you mean some kind of biblical reference for the oil, it is important to remember that essential oils are a relatively modern invention—essential oils were not extracted from plants long ago the way they are today. Still, there are plenty of oils that have some connection to Scripture. I think if I were to select a blend of oils that had special connection to the Bible I would turn to Exodus 30:22-33—the blend of oils used for the holy anointing oil that anointed the tabernacle, all its furniture, and the priests. It consists of myrrh, cinnamon, calamus, and cassia. The ratios are given in the text. Thank you for this article, even though I am VERY late to the party. I have seen a lot of Christian women in my church get involved with EOs in a way that has become worrisome. Not the essentials in an of themselves, I have no issue with using them for cleaning, medical purposes, or relaxation. There is actual scientific evidence to back many of these claims. I have, however, seen several of these women begin to mingle the use of essential oils into the practice of Christianity. I have heard them talking about “oiling up” with oils for relaxation and peace when faced with an issue and mentioning either praying for peace. Their trust seemed to be in the oils, not the God that created the oils. There have been times of prayer and Bible study when the oils were diffused, not just to make a nice atmosphere, but because a specific oil has properties that “calm the mind” or “bring peace” or “hear clearly” or “bring freedom” so that you can hear/receive the Spirit better. This, to me, borders on idolatry and witchcraft. The Holy Spirit doesn’t need oils to speak. He doesn’t need oils to perform miracles. I don’t need oils to feel His Presence. Anointing oil in the Word, as already pointed out, was olive oil not essential oil and it was used as a type and symbol of the anointing and Presence of the Holy Spirit. In and of itself, it had no “mystical” powers. As I said, the oils in and of themselves I have no issue with; it’s the linking of them to the work of the Holy Spirit that disturbs me. I don’t know if this has been brought up yet or not but one thing I do like to keep in mind is that DoTerra is owned by Mormons (as are many other MLM companies btw). I love Mormons but as a Christian I have to say that if faced with the decision to buy a product that possibly supports the LDS church… it just makes me pause. I think some perspective is needed on this issue. First, doTERRA does some wonderful humanitarian work around the world, which ought to be acknowledged and celebrated. Second, we making buying decisions all the time that line the pockets of businesses that will donate some portion of that money to causes we don’t agree with. Paul knew this when he spoke of Christians buying meat sacrificed to idols—a financial transaction that supported the idol machinery of Corinth. And this didn’t seem to be a moral problem for him. That said, we live in far more diverse economy. We can buy from many different suppliers. All other things being equal (which they rarely are), do we choose to buy from Company X because they don’t a specific anti-gospel cause, but we choose to avoid Company Y because they do fund it? I grant you, that is wise stewardship. But in the marketplace of choices, we then need to practice consistency and ask what other non-Christian companies we might need to avoid. Big companies like Starbucks, JC Penney, Best Buy, Lowes, Heinz, Levis, McDonalds, Target, Proctor and Gamble, Ford, and Disney have all been on boycott lists at one time or another. I can’t even explain in enough words how this moved me. I’ve just started my own body care line, and have know the negatives that come along with essential oils. However, I’m such an Earth loving person, Noah’s story always has a special place in my heart. I just love plants, animals, landscapes, and always thank the lord for these. Such a creator! The beauty all around us, and the love and detail our father placed all around us. Your article really helped me. I love the scripture you provided, and it helped me validate my own feelings about herbs and oils. God made them! So when I infuse my oils and herbs, I am infusing the love I have for God and knowledge that he is the ultimate creator and I refuse to accept that these precious plants are tainted by evil. I see my small batches of body care trinkets of love and honor for the Earth, because it comes from the creator and I am honoring him as well!